Exploring Brisbane has been a lot of fun for us since moving to Australia from the United Kingdom. 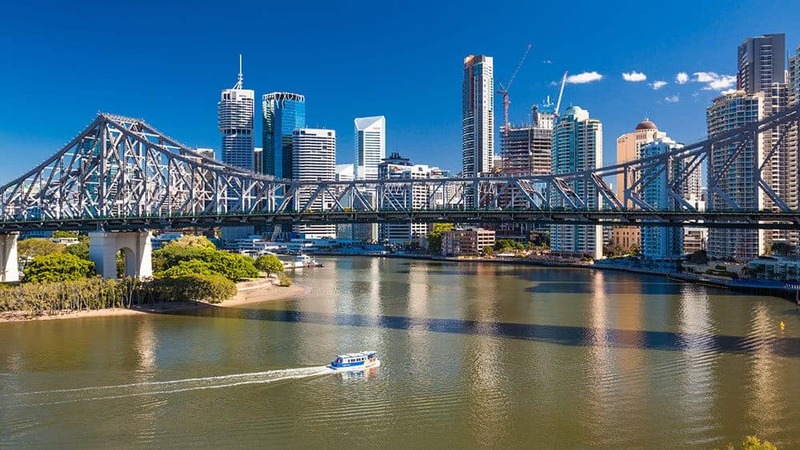 We live north of the city and as neither my husband nor I work in Brisbane’s Central Business District (CBD), travelling in to visit always feels like a little holiday. The South Bank of Brisbane, in particular, is one of our favourite haunts for family days out. South Bank has a buzzing, family atmosphere. It’s a place where you can enjoy lazy days or throw yourself into the cultural attractions. It’s somewhere you can explore on a tight budget or where you can splash out on experiences. Having moved from a small market town in Hampshire where the cultural and arts attractions were very limited, it is exciting to be in a culturally vibrant city finally. Located on the southern banks of the Brisbane River, South Bank’s 17 hectares of parkland are scattered with restaurants and attractions. Here are some of our favourites. Queensland’s centre for natural history, heritage and science is somewhere we visit often. Our favourite exhibit is the giant squid – my kids are fascinated by it! Entry to the permanent collection of the Queensland Museum is free, although they do have changing exhibitions that are ticketed and well worth checking the admission fee. We recently visited the Egyptian Mummies Exploring Ancient Lives exhibit and explored the 200+ Egyptian artefacts on display that help unravel the histories of ancient Egypt. It was fascinating, and even our little kids enjoyed it. The Wheel of Brisbane is an experience to remember as it stands proudly along the banks of the river. 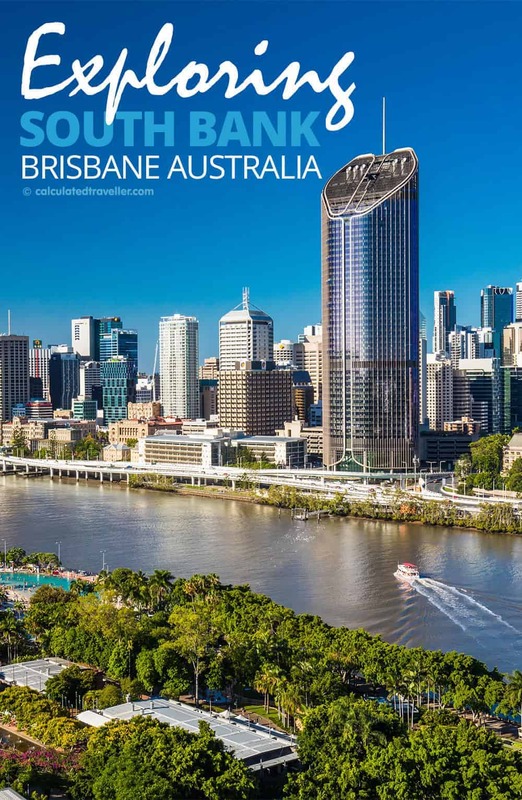 The iconic landmark gives you breathtaking 360-degree panoramic views of Brisbane City. For a bit of luxury, you can also add a food and wine platter to the experience. Tip: If your visit happens to be in September and coincides with the annual Riverfire event, you can book a pod on the Wheel to give you the best seats for the fireworks at a very reasonable price. At the southern end of South Bank, the Queensland Maritime Museum is a sprawling attraction that tells Queensland’s maritime history. Sights include the World War II HMAS Diamantina and Jessica Watson’s 10-metre pink yacht in which she travelled solo around the world aged just 16 2010. Tip: Take a self-paced audio tour and allow yourself at least half a day as it is a big attraction. 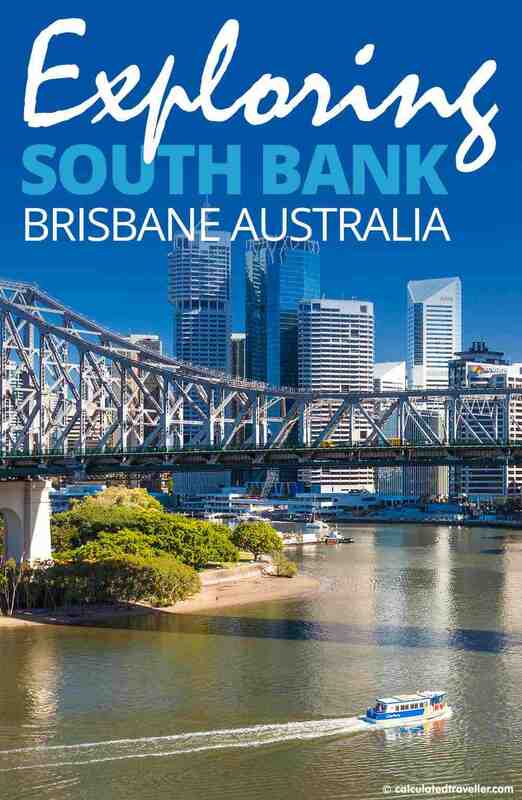 No visit to South Bank would be complete without a visit to Streets Beach, Australia’s only inner-city, human-made beach which boasts a glimmering lagoon, tropical plants and white sandy beaches with the view of the CBD high rises. It’s a great way to cool off and rest tired feet after walking around the museums. When exploring gets too much, a relaxing place to unwind is the Epicurious Garden Brisbane. Run by a team of volunteers, the gardens are full of lush plants, herbs and vegetables that instantly give you a feeling of calmness and peace. It’s a way of stepping out of the hustle and bustle of the city for a few minutes. A marvellous way to see the city, and to get a closer view of Story Bridge, is via a boat. You can pick up a short morning or afternoon cruise with River City Cruises from the jetty by the Wheel of Brisbane. If you feel like combining your sailing with a visit to Lone Pine Koala Sanctuary, Miramar offers a tour that takes in the attraction and brings you back afterwards. Or for something more memorable, Kookaburra provide a range of catered short cruises from Brisbane on their restored paddle wheelers. Queensland Performing Arts Centre is the place to catch a show. With everything from family shows to large-scale musicals and ballet to comedy, there is always something on the programme to entertain. This list has only just scratched the surface of the fun you can have on South Bank. 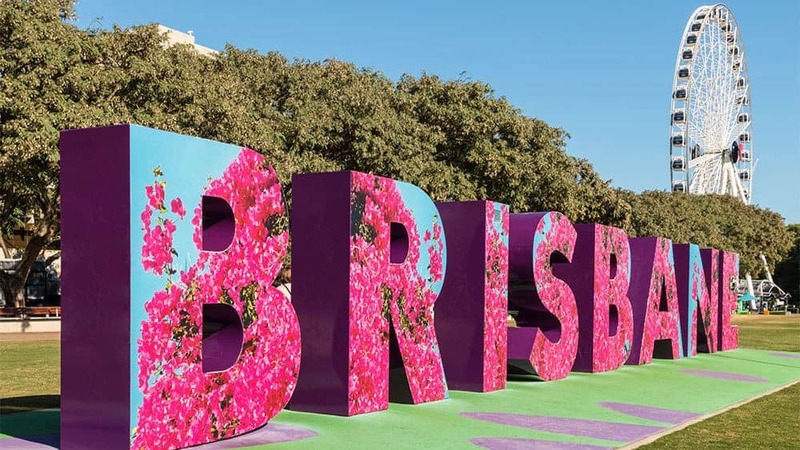 With the Gallery of Modern Art (GOMA), the Nepalese Pagoda, the large Brisbane sign, plenty of impressive play parks, an array of markets and incredible festivals and arts events, Brisbane is an exciting place to explore for all the family. Formerly from the UK, Karen Bleakley fell in love with Australia after spending ten weeks exploring the region on a campervan tour. A few years later after comparing the lifestyle, house prices and work opportunities; she packed up her family, sold their house and shipped their belongings to a community they didn’t know. 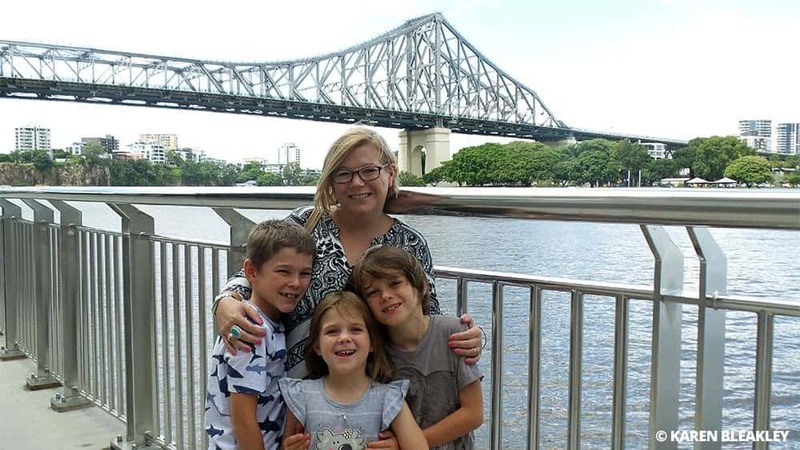 Today, Karen helps other families move to Australia without the stress at Smart Steps to Australia and is a regular travel writer for Australia and New Zealand magazine. What a great post. With this, I can make my itinerary in Brisbane easily. Thank you for sharing.